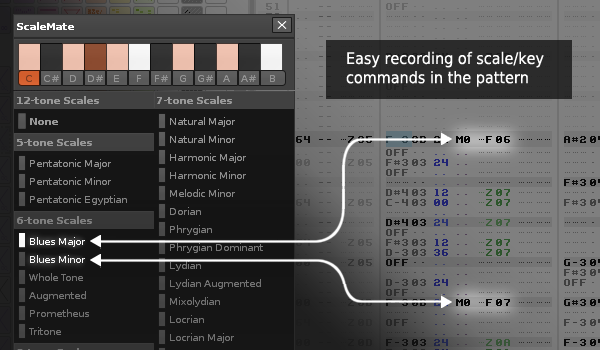 Scales are a live trigger option that affect instruments in Renoise. Scales don't affect already-recorded notes unless the instrument contains an active phrase. However, when a scale is selected, and you are rehearsing or recording an instrument, the scale is applied in realtime.